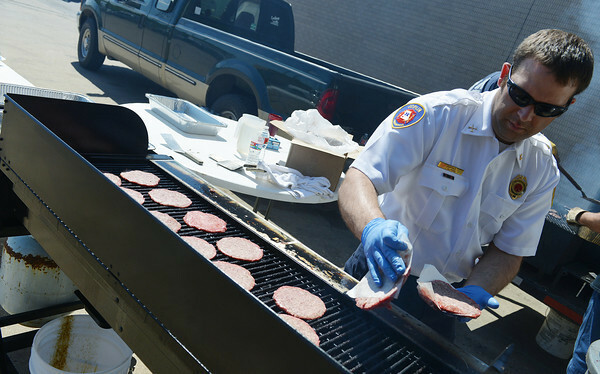 Joplin Fire Captain John Alford grills hamburgers on Friday at Fire Station No. 1 during a fundraiser for Cade Cranford, 11 months. Cranford was recently diagnosed with retinoblastoma.